Is there something you’ve always wanted to do or improve a part of your life but just haven’t done it for whatever reason? This short 3:20 minute video will inspire you to just try it for 30 days. Small steps can add up to a big difference. You could take a picture a day as your photo journal, or give a compliment each day or spend 30 days being a vegetarian or vegan. 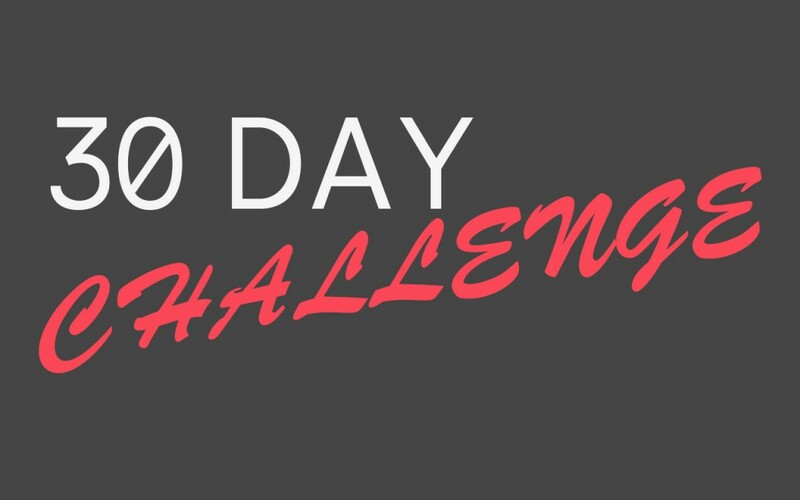 If you’re looking for some 30 day challenge inspiration, check out this website for some fun ideas: http://thoughtbrick.com/lifestyle/hundred-30-day-challenge-ideas/ Trying out something new out of your comfort zone each day for 30 days makes you more self-aware and is a great learning experience in the process.